Mechatronics is a core subject for engineers, combining elements of mechanical and electronic engineering into the development of computer-controlled mechanical devices such as DVD players or anti-lock braking systems. 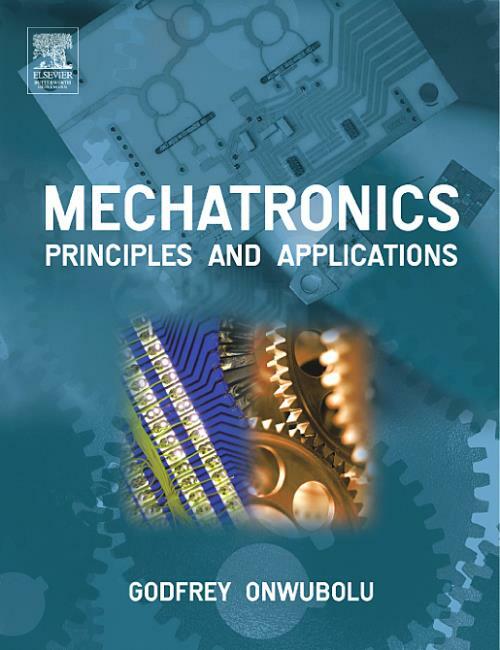 This book is the most comprehensive text available for both mechanical and electrical engineering students and will enable them to engage fully with all stages of mechatronic system design. It offers broader and more integrated coverage than other books in the field with practical examples, case studies and exercises throughout and an Instructor's Manual. A further key feature of the book is its integrated coverage of programming the PIC microcontroller, and the use of MATLAB and Simulink programming and modelling, along with code files for downloading from the accompanying website. Godfrey Onwubolu holds a BEng degree (University of Benin), a MSc degree in mechanical engineering (Aston University) and a PhD in computer-aided design (Aston University). His industrial experience is in manufacturing engineering in West Midlands, England. He was a consultant to a centre of innovation for enabling small-to-medium enterprises (SMEs) in the manufacturing sector. Godfrey works mainly in three areas: computer-aided design (CAD), additive manufacturing, and inductive modelling. He has published two textbooks on CAD: One is heavily used in many North American universities and colleges, and the other is listed by London's Imperial College Press as one of the top-10 bestsellers. Godfrey currently works in the area of additive manufacturing, popularly known as 3D printing, where he continues to investigate the functionality of additive manufactured parts based on machine input parameters, in order to make users understand the characteristics of additive manufacturing technologies.He is internationally recognized for his work in inductive modelling, especially in Europe, where he gives public lectures and examines doctoral theses on the subject in universities. He is currently the lead researcher at Sheridan College in applying this technology to the joint Sheridan-Nexflow project for studying the behaviours of Nexflow air products based on their operational parameters. Godfrey has authored more than 130 papers in international journals/conference proceedings and at least eight textbooks. For several years, he has been serving on the International Program Committee for the Inductive Modeling Conference in Europe. He is currently on the Editorial Boards of International Journal of Manufacturing Engineering and Production Planning & Control. He continues to use his expertise in the domains of computer-aided design, additive manufacturing, and inductive modelling to impart knowledge to students as an engineering and technology educator, and to advance productivity in the manufacturing industry sector in Canada and beyond.